KARACHI, Oct 23 (APP): Centuries from Mohammad Usman and Zia-ur-Rahman powered Ebrahim Ali Bhai School to victory over Al Hameed Secondary School. while defending a modest total of 84 against Falcon House Grammar School in the latest matches of the Omar Trophy Inter-School Cricket Tournament 2016, being organised by the Pakistan Veterans Cricket Association (PVCA). Ebrahim Ali Bhai School whipped Al Hameed Secondary School after posting an awesome total of 361 in 40 overs in the Group F encounter at the Naya Nazimabad Lawai Stadium. 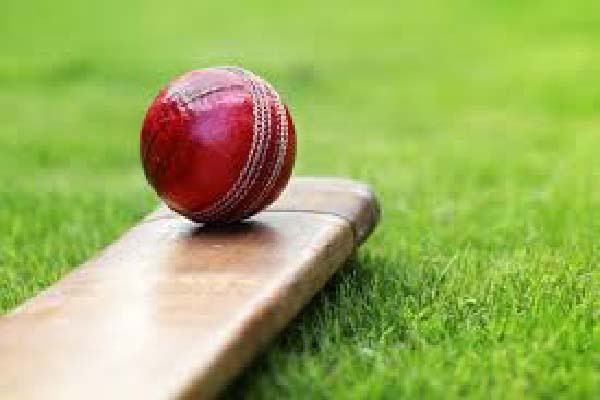 While New Standard Secondary School managed to defeat Falcon House Grammar School by 47 runs after having scored only 84 in their Group H clash at the KCCA Stadium. for the second wicket allowed Ebrahim Ali Bhai School to post a monumental total. While opener Zia-ur- Rahman retired after scoring 120 off 89 balls with the help of five sixes and six fours. Mohammad Usman, adjudged Man of the Match, struck eight sixes and 21 fours in his staggering knock of 184, coming from only 100 balls. successful bowlers for Al Hameed Secondary School but they were also put to sword by the rampaging batsmen as Ebrahim Ali Bhai School ended up with a record total of 361.
the target of 362 to be bowled for 81 in 19.1 overs. The innings was wrapped up by Ebrahim Ali Bhai School’s leg-spinner Abdul Rahman (6-22) after medium-pacers Zeeshan-ur- Rahman (2-14) and Saeed-ur- Rahman (2-26) had routed the top-order. Standard Secondary School successfully defended their total of 84 against Falcon House Grammar School. Electing to bat, after winning the toss, New Standard Secondary School lost wickets at regular intervals to be all out for 84 in 21.1 overs. rocked by leg-spinner Affan-ur- Rahman (5-22) after the early damage was caused with the ball by medium-pacers Nafay Yar Khan (2-21) and Farjad Yar Khan (2-23). was skittled for a paltry 37 in 13.1 overs with only Sikander Khan (14 off 17 balls) reaching double figures. middle-order after the opening bowlers Maaz Khalid (2-16) and Saqib Khan (1-11) picked up wickets upfront.